Our kitchen was gutted on September 26. For the past three months, we’ve been using the wash tub in the basement or the bathroom upstairs when we needed water. 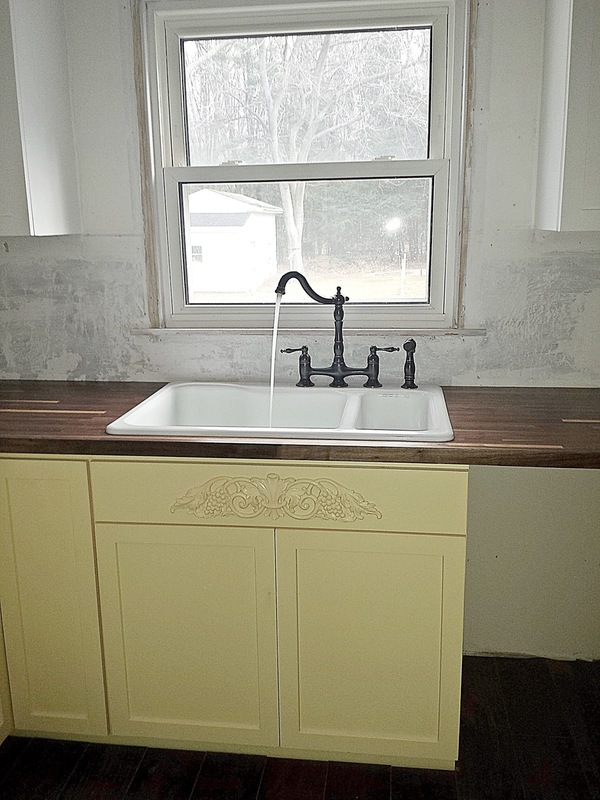 Our kitchen sink and new faucet were installed on Friday, and we now have running water again in the kitchen! Whooohooo!! 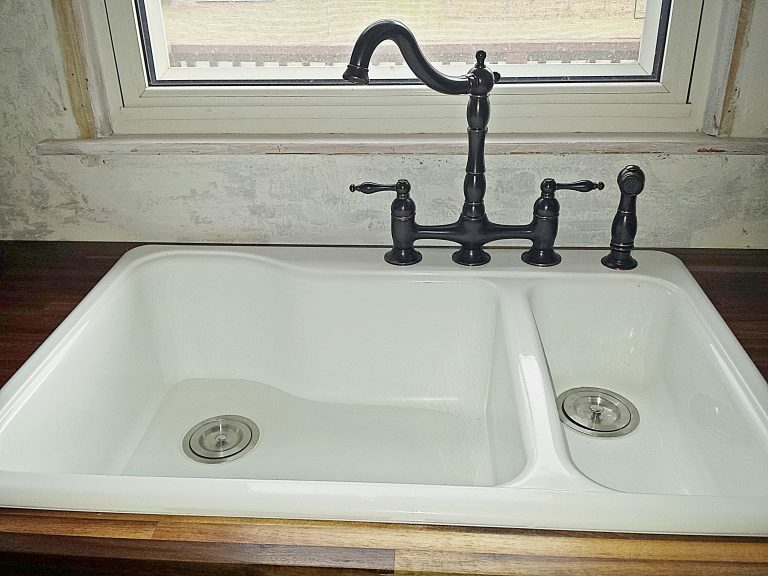 We had a problem with our Craigslist dishwasher… Turns out the pump had a leak, so we need to get a new dishwasher to go in that empty spot under the counter next to the sink. Otherwise, that would be installed right now also. I love how everything looks. 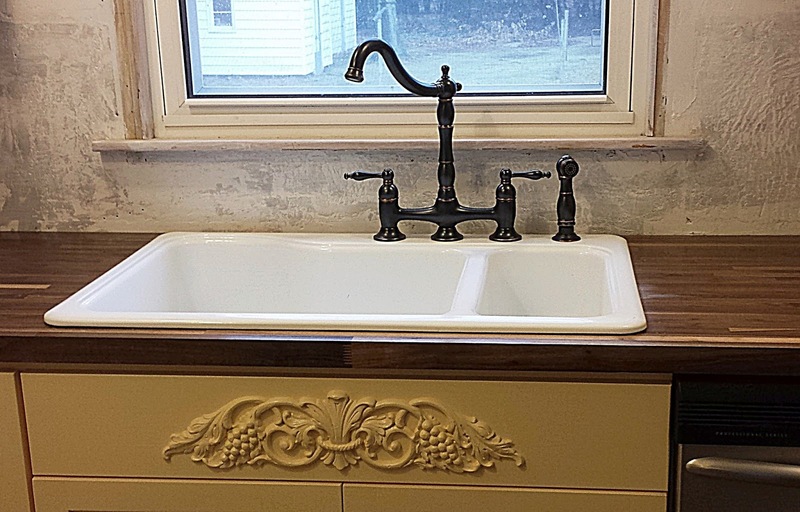 The butcher block countertops, the sink, and the bridge faucet are perfect! I’m so excited!!! Just a few more steps to a working kitchen!!! If you’ve ever renovated a kitchen, how did you deal without having a working kitchen?